Anne Haley-Callaghan joined the Canadian Ski Patrol System in 1983. Anne became actively involved in education and operations from the very beginning. Career and personal circumstances have given Anne the opportunity to move across Canada and as such belong to four Divisions: Atlantic West, Saskatchewan, Manitoba and since 2007 Mountain Division. Locally, Anne is active as an instructor and a patroller at Hidden Valley Ski Area in Palliser Zone. During her years with the CSP Anne has served at all levels in operations including three years as Division President in Saskatchewan. Anne has received awards at the Zone, Division and National level culminating with CSP Award #620. 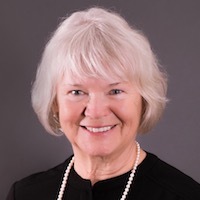 Anne is a Registered Nurse by profession and has worked in management positions for more than 30 years culminating in 4 years as Executive Director Integrated Health Services, Kelsey Trail Health Region. In her positions with health services she has been actively involved in accreditation processes, budget development and management, strategic planning, major direction changes and re organizations. The constantly changing world of health care has provided experience and knowledge that Anne has brought to all the positions that she has held within the CSP. A major re-organization of the structure of our senior management committee was undertaken and implemented over the past few years and Anne was a very active participant in these changes. She has been and can commit to the amount of time required of an active Board member and patroller. Since being elected to the Board four years ago, Anne has been involved in the many changes that have occurred. She was a member of the 75th Planning Committee over the three-year planning for the event. She was a member of the Board sub-committee tasked with rewriting the regulations. Presently, Anne is a member of the governance committee and has been for the past two years. This committee recently reworked the regulations to line up with the four vice president positions. As a member of the Board, she helped rewrite the Strategic Plan for the organization and is involved in the review that occurs on a regular basis. In the spring of 2016, she became the new Corporate Secretary for the Canadian Ski Patrol. Anne is fluent in both official languages which is a valuable asset in communications with all members across the country. This continues to be an exciting period of growth and change for the CSP. Hand in hand with these changes is the need for our leaders to have the interest and commitment in seeing this task through. Anne is committed to being a part of a change that will fulfil our mandate of keeping our organization modern, professional and relevant.